Florida has weather, infrastructure, and roadways that allow for motorcycle riding and related events year round. Certainly, Florida laws and the United States Constitution give motorcycle enthusiasts the right to congregate and have such events. 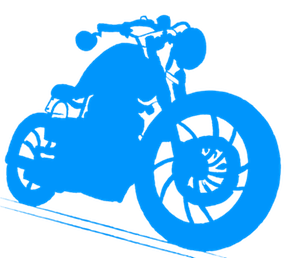 Being part of a motorcycle event, festival, weekend, and club can be great fun and part of the draw for having a motorcycle. Whenever there is a large, extended motorcycle event or festival, there are often motorcycle accidents and injuries that follow. Some motorcycle accidents are single vehicle events only involving one motorcycle while other crashes involve a motorcycle and one or more other motorcycles and / or motor vehicles. Certainly, when there is heavy traffic or a festival or event in process of whatever nature including those with heavy focus on motorcycles, all motorcyclists, riders, and drivers of passenger and commercial vehicles should take note and alter driving speeds and habits. As noted in Section 316.027 (b), Florida Statutes, a person operating a motorcycle is considered a "vulnerable road use". This is the law in Florida but it is also something that other drivers should know and be aware of as a matter of common sense. As such, a driver should proceed with due caution, care, and a slow speed any time that a driver is operating a motor vehicle in the proximity of one motorcyclist as well as a crowd of motorcyclist when at an event or festival. If a motorcyclist is injured as result of a motorcycle accident, it is typically advisable to get the police involved to issue a report and citation when appropriate. This applies to motorcycle accidents at events and festivals as well. Stories and recollections change over time. While a police report will not solve all issues or challenges, it is generally recommended to have the police involved to document the circumstances of the motorcycle accident, drivers involved, motorcyclists involved, witnesses, and insurance information. Heavy traffic can be a contributing factor to the cause and circumstances surrounding a motorcycle accident; however, the fact that the traffic was heavy does not provide a defense per se for the negligence that is the cause of the accident or crash. As noted by Section 316.0895, Florida Statutes, the driver of a motor vehicle shall take into account the speed of other vehicles and traffic when operating a motor vehicle. As such, Florida law makes it clear that heavy traffic alone is not a defense to the negligent operation of a motor vehicle. The motorcyclist has every right to attend motorcycle events, rides, and festivals. Daytona Bike Week located in Daytona Beach, Florida is promoted as the World's Largest Motorcycle Event. Daytona Bike Week is promoted by local businesses and the Daytona Regional Chamber of Commerce. It brings in millions of dollars of commerce and wonderful motorcyclists and riders throughout the United States and beyond. At big events like Bike Week, there are typically motorcycle accidents that result in serious injuries whether at Bike Week or travelling to and from Bike Week. Many of these motorcycle accidents can be avoided by safe driving in the form of slower speeds. Furthermore, by putting down the mobile phone and other mobile devices during driving, many motorcycle accidents can also be avoided. Watch Out for Motorcycles is a simple statement but so important to the health, safety, and welfare of the motorcyclist who reside in or visit the community. When a motorcyclist is injured as a result of the negligence of another driver or another motorcyclist, contact David A. Wolf - a Florida Motorcycle Injury Attorney with over 28 years of experience. Contact David A. Wolf days, nights, or weekend. Get D Wolf - On Your Side - At Your Side.